Custom wood slab chairs, office, and living room chairs, rocking chairs, benches and bar stools. 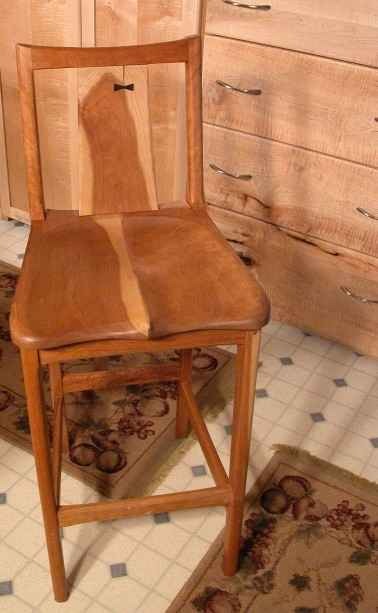 Our wood slab chairs are unique, artistic, custom, one of a kind and unusual. Made from unique and unusual reclaimed urban woods. This custom slab chair is very lightweight and has a hand carved seat and natural edge cherry slab back. Unusual slab chairs, office, and living room chairs, rocking chairs, benches and bar stools. A Carved Cherry bar stool with a delicate frame which helps make for a sturdy yet light-weight frame. 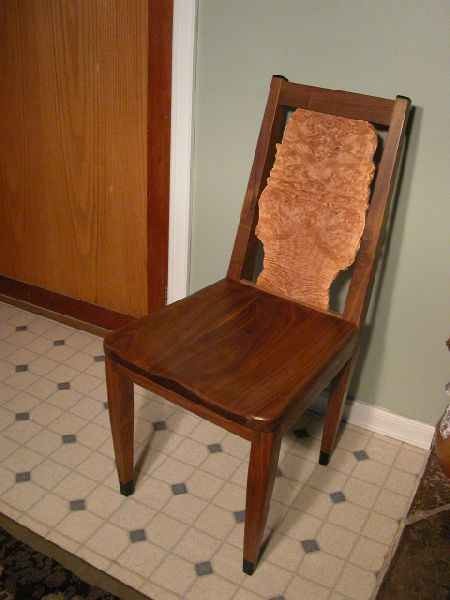 Much time was spent carving and shaping this slab chair for its final appearance. Wood bar stools, custom slab chairs, office and living room chairs, rocking chairs, and benches. This chair features a carved seat and a curly cherry natural edge backrest. Unique wood slab chairs, office, and living room chairs, rocking chairs, benches and bar stools. 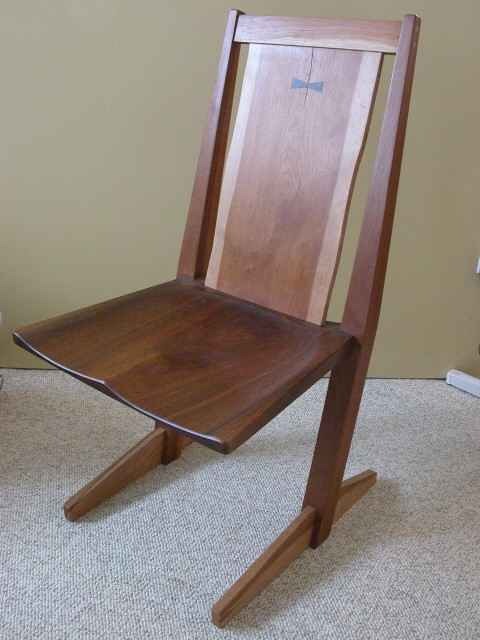 This is a handmade Walnut wood slab chair made for a diamond broker in Washington, DC. Burled maple backs with ebony accents at the tops and bottoms of the legs. If you’re looking for a custom built slab chair to fit your home or office space, we can help you out! Let’s say you already have an idea in mind of a custom chair that you would like to have. You can submit your idea to us via our Request A Quote Form or call us directly at (406) 777-3772.